Welcome to JocknDoris Two new books - Just published - Which can you handle ?? Haunted by Neil Armstrong (ISBN: 978-0-9535748-3-4) is 64 pages long costs £9.95 and should be of interest to anyone who thinks the Moon Landings might have been a Hoax. It shows that on 21 July 1969 the day that Neil Armstrong was supposed to be landing on the Moon he was in fact playing golf with the author at the Navy Marine course in Honolulu near Pearl Harbor. The entry in the visitors book showing they won the competition states so. Recommended for all including the sceptics. The Full Story (ISBN: 97809535748-4-1) carries on where Haunted left off to give a full 96 pages at a cost of £11.95. It tells of visits to the astronauts training grounds including underground Caves. The author was given full rein to his imagination and recalls with complete freedom a meeting with Ellison Onizuka. 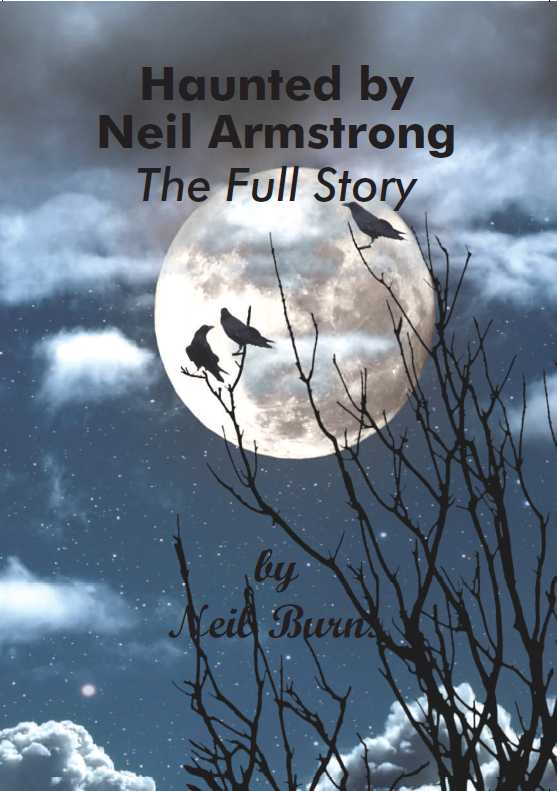 Meet Neil Armstrong's ghost in 2013 and hear how the Moon Landings were really done !! and what he thinks we should do now to really get into Space. Play golf with the author and Neil Armstrong at Navy Marine near Pearl Harbor. To hear how they enjoyed their prize at Mauna Kea golf Club click on Mauna Kea below. All these stories are true exactly as he recalls them. No? Then you need only read about the game of golf played in Honolulu with Neil Armstrong on 21 July 1969, the very day he was supposed to be on the Moon ! Yes? Then you should enjoy reading the explanation given by the ghost of Neil Armstrong when the author returned to play with him again in 2013. Whether you believe a word of it is entirely up to you! This goes on where the other leaves off and the author lets his imagination run wild Only buy this book if you want the FULL STORY about what happened at the Moon Landings and if you think you can deal with it. This book tells of meetings with ghosts over a 40 year period by a respected 57 year old Chartered Accountant who's word is never questioned. He has met Sir Walter Scott, Mary Queen of Scots and the intrepid Lily Cove who apparently died in 1906. Follow the trail left by Lily Cove to discover what actually happened to her. 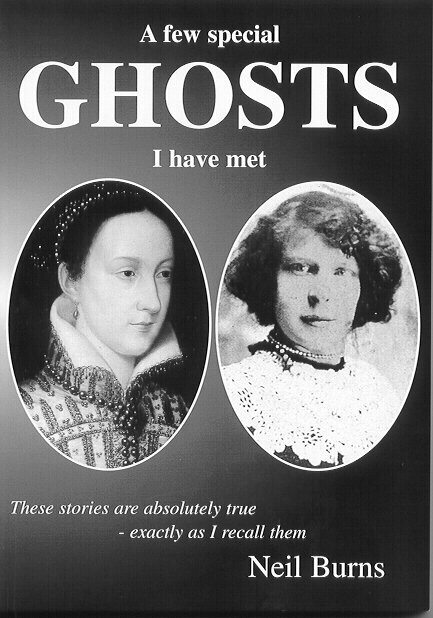 This book tells of a series of meetings where Mary Queen of Scots has appeared to a respected Chartered Accountant who's word is never questioned. He has met her at Rheims Cathedral in France, Linlithgow Palace in Scotland and at Wingfield Manor in England. On each and every occasion she has asked him to do something for her ranging from re-opening the Spa at Buxton to developing a cure for arthritis from wild gooseberry bush leaves. All these stories are true exactly as he recalls them.